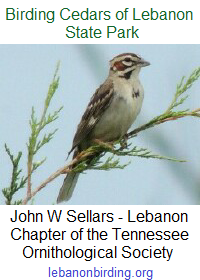 The Friends of Cedars of Lebanon State Park meets bimonthly and our next meeting is Saturday morning, 6 January 2018 at 10:00 AM in Cabin 13 at Cedars of Lebanon State Park. We will be discussing some of the exciting changes coming to the park in 2018, and planning our role and participation during the first half of the new year. If you love our Cedar Forest and want to help make it even better for current and future generations, please join us on Saturday, January 6.